Several different small bread rolls and brioches. 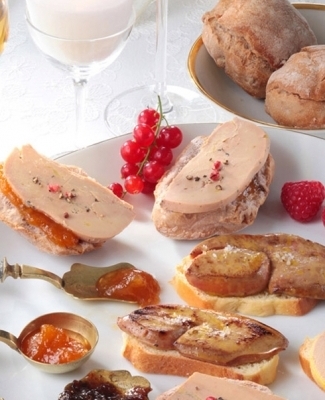 Remove the Foie Gras from the refrigerator. Cut the different breads into thin slices and spread with the chutney(s) of your choice. 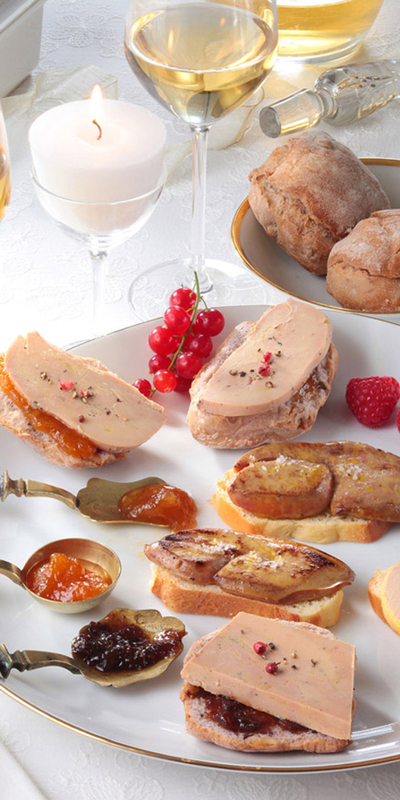 Cut the whole, mi-cuit Foie Gras and the Foie Gras terrine into thin slices and lay them on the slices of bread and chutney. 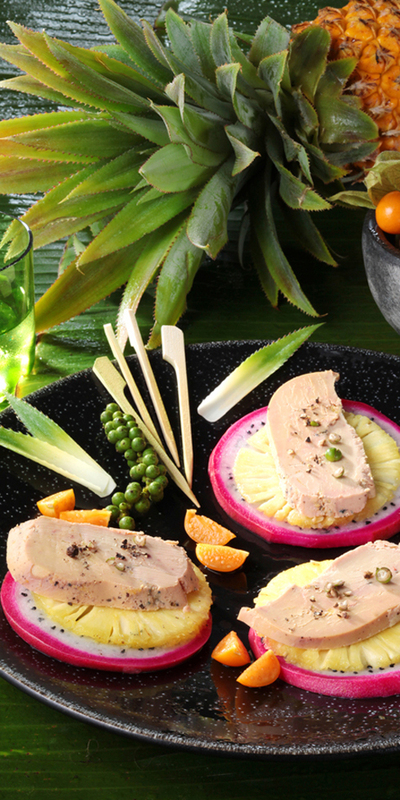 Cut the raw Foie Gras into slices of about 1 cm thick, then cook them for 30 seconds on each side in a hot frying pan. Serve immediately on slices of brioche. 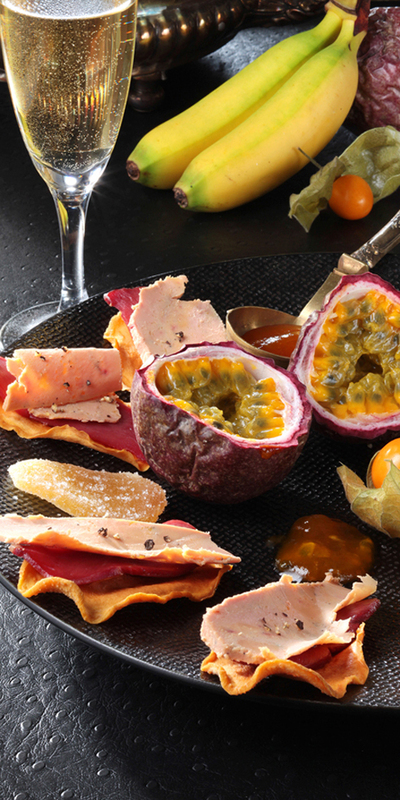 Present the tartines on large plates with chutneys and a few red fruits as a garnish. Place in a saucepan with the sugar, vinegar and the cardamom pod. Season with salt and freshly-milled pepper. Cut the passion fruits in half and scoop out the contents into a sieve. Add only the juice to the saucepan. Cover and cook gently for 20 minutes, stirring from time to time. Wash and zest the Kaffir lime. Peel the papaya, remove the seeds and dice. 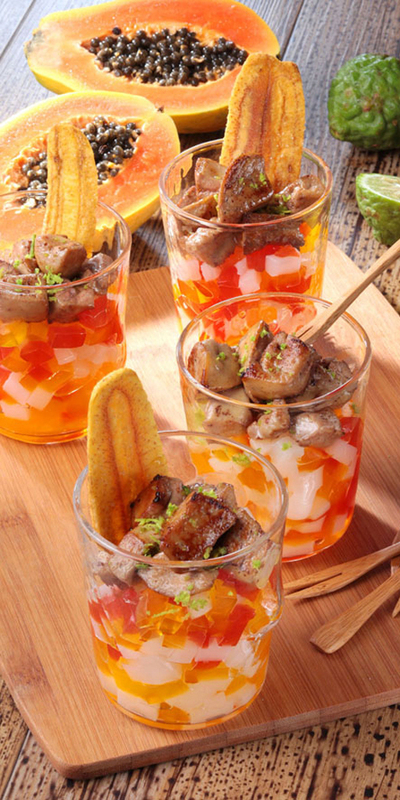 Put the papaya into a saucepan and add the sugar, vinegar and kaffir lime zest. Season with salt and Szechuan pepper. Wash and cut the figs into pieces. Place in a saucepan and add the sugar and the vinegar. Season with salt and pepper. Cover and cook gently for 20 minutes, mixing from time to time.